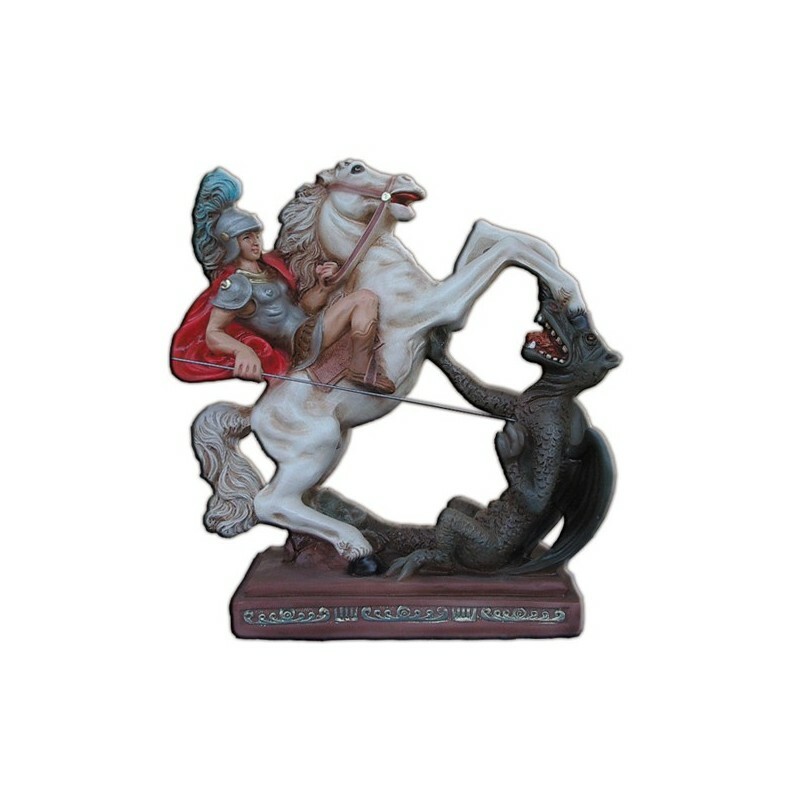 Statue of Saint George with horse of 30 cm. Saint George the Great, martyr, was born in 280 and he died on the 23rd of April 303. He is commemorated on the 23 of April. He also died during the reign of Diocleziano in Diospoli (Palestine), in the “Age of the Saint Martyrs” (300-303). There are many legends around his name. The most known is that he killed a dragon. 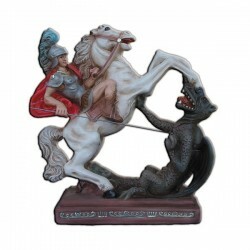 With the Crusades began in Western the worship of Saint George. In Eastern he is venerated as one of the Fourteen Holy Helpers. He is considered a women’s defender. He is the Saint Patron o f Englad, Aragon, Portugal, Germany, Genoa and Venice. He moreover is the protector of Ferrara. He is salso venerated by the Muslims as a “Prophet”. He is the patron of the scout and the tourist guides. He is illustrated as a young soldier, riding a horse, with a spear while he is piercing the dragon.